WCAJA organized and hosted the first national symposium for Canadian analysts May 29-31, 2015. 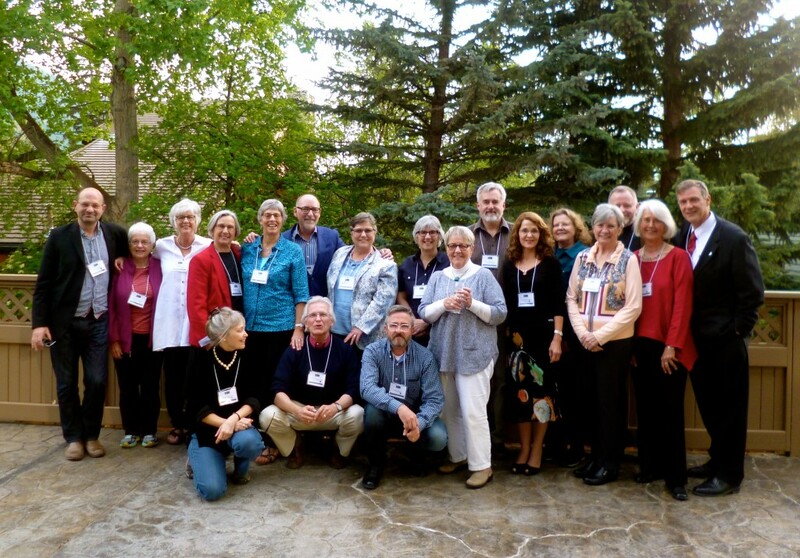 Held in Banff, Alberta, 21 people attended – approximately one-quarter of the Jungian analysts in Canada. On the first evening, as the opening reception unfolded, one analyst remarked, “Something magical is happening here. History is being made. Let’s take a group picture for posterity’s sake.” We immediately moved to the patio outside and took the picture displayed below. A sense of magic continued throughout our time together. Everything contributed to the wonder of our first Canadian symposium for Jungian analysts: the people, the setting, the food, the presentations, conversations, shared laughter, the panel, the banquet, our discussions about the future. It was as if everyone who came was ready for this event. We invite you to explore all of the categories about the symposium. If you were there, you will reminisce; if you missed it, you won’t want to miss the next one! Symposium attendees: John Hoedl, Marilyn Conroy, Judith Slimmon, Shirley Halliday, Marlene Brouwer, Tom Kelly, Muriel McMahon, Christina Becker, Greg Mogenson, Catherine Ellis, Name Withheld, Peggy Voth, Craig Stephenson, Mae Stolte, Chris Wilkes. Front Row: Beaty Popescu, Marcel Gaumond, John Betts, Josephine Evetts-Secker. Missing: Zeljko Matijevic.